anything from the brand that has been a let down or lack luster. With saying that it seemed about time to dive into CT foundations. I am quite fair but also of mixed decent, (Mom: Welsh/English Dad: Salvadorian/Spanish) this can make it hard to find a good shade match, with the right mix of tones that I am truly happy with. Being that CT is an artist brand and also has a specific focus on having a range for everyone. I was hopeful for the Magic Foundation to be just that! Happily enough, Charlotte did not let me down! 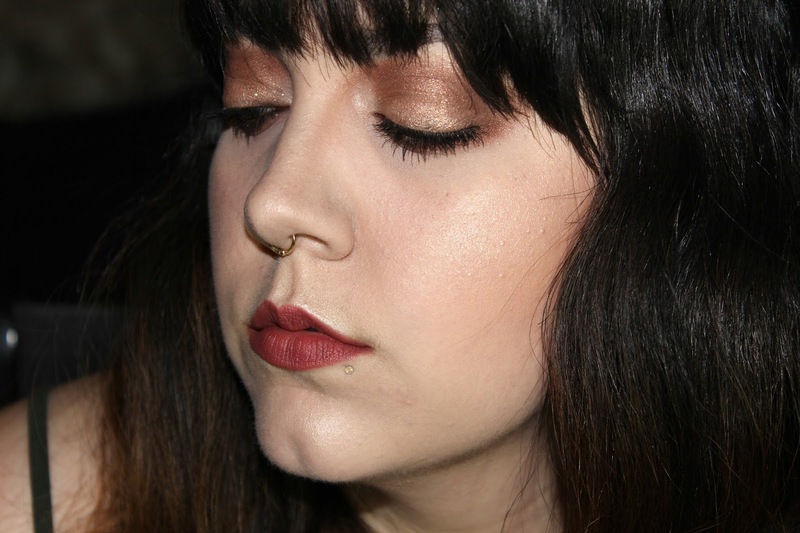 The second to lightest shade in the range was just right for me! When the woman at the counter swatched it on my neck it disappeared completely. This has only happened with two other brands: Make Up For Ever and Bobbi Brown. The weighty, frosted glass bottle feels luxe and looks lovely sitting on the counter. The pump is fairly standard and works well, the rose gold cap does have the flaw that it likes to fall off which could be a problem while traveling since it doesn't quite "click" into place. It feels light weight and provides skin care right in the foundation, which if it's gonna be sitting there all day, it may as well be doing work for your skin. It has hyaluronic spheres that sink into the skin, plumping up fine lines, Vitamin C to help fight aging from environmental stress on the skin and helps over all skin appearance in 4 months, by reducing redness, acne, and dark spots. Aside from all that, it feels so light weight and honestly looks like it's barely there and yet is buildable while never getting cakey. I found 2 pumps to do the trick if I wanted a good medium coverage and 1 for a fresh face. 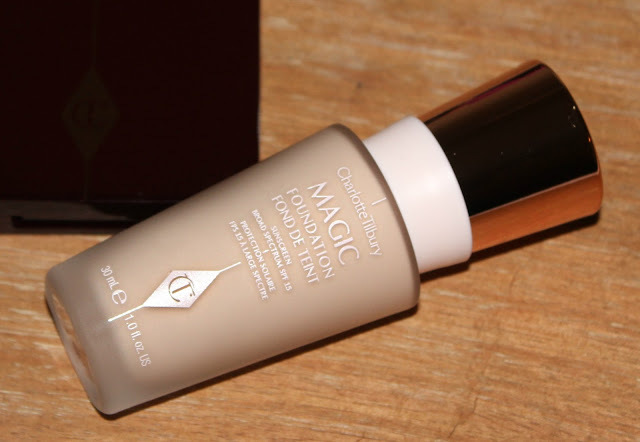 The magic for me is that I found the more I buffed it into the skin the more flawless that skin became and the more beautiful the foundation sat and the coverage seemed to be more visible. The foundation doesn't oxidize and has a natural finish. Everything that I look for is here in this foundation with the added benefit of skincare being built in. I already knew I adored the Airbrush Flawless Finish Powder, but together they are flawless and my makeup looks lovely all day. I waited a few weeks to test drive this so I could give a full review and I am so very pleased. The wear time is amazing, we're talking 14 hours and it's still holding up. There are 15 shades in the range that manages to find representation for all skin tones effectively! I would 100% recommend checking this range out if you can! 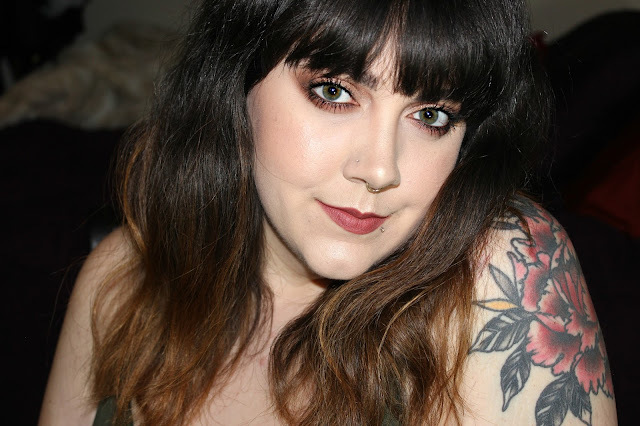 I am very excited about this foundation and can't see myself putting it down any time soon. the comments! I can't wait to chat about it! If you want to see how I did the eye look pictured click the link here for a tutorial!